Micah Oyaro from the Kenya AIDS Vaccine Initiative to visit Stellenbosch Medical virology Laboratory to learn techniques of viral identification and characterisation. Adriana Carr Perez of Centre of Molecular Immunology Havana to visit School of Medicine University of Buenos Aires to evaluate an immunopotentiator in HIV infection. Jing Zhang of Institute of AIDS/HIV Control and Prevention Shandong, China, to visit GAP (Global Aids Program) International Laboratory, Center for Disease Control and Prevention USA to learn advanced techniques for evaluating effects of retroviral therapy. Bright Kofi Sakyi of Botswana-Harvard HIV Reference Laboratory to receive further training at London School of Hygiene and Tropical Medicine London. Tapash Roy currently at School of Pharmacy Nottingham UK, to complete field work for PhD as part of BRAC Health Programme in Bangladesh. Sarge-Njie Ramu Viral Disease programme Gambia, to visit Tulane University USA to learn techniques of making human monoclonal antibodies. Isaac Mwase of the SCOPE-OVC project Zambia, to visit the Training Centre for Development Cooperation Arusha, Tanzania, to learn advanced techniques of monitoring and evaluating outcomes. Agnes Kasirye Kiragga of Uganda Virus research Institute, to visit the School of Development studies University of East Anglia UK to receive further training in the analysis of longitudinal data. HIV Programme Officer for Prevention of Mother to child transmission of HIV, Malawi, to visit Botswana-Baylor Children’s Centre of Excellence to learn techniques of identifying factors that influence uptake of care programmes in the community. of Nsambya Hospital Kampala Uganda to visit the Institute of tropical Medicine Antwerp to undertake a course of instruction on antiviral therapy. 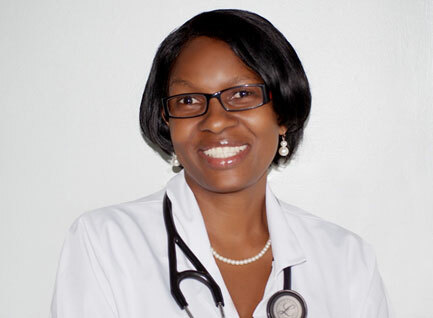 of the National Institute of Health Research, Zimbabwe, to visit the Botswana-Harvard Partnership for HIV Research and Education to receive training in advanced diagnostic techniques in HIV infection. of Department of Immunopathology, Chandigarh, India, to visit Laboratory of Clinical and Biological Studies Miller School of Medicine Florida to develop techniques of measuring immune response. from Taiwan, currently Ph.D student at Columbia University, to visit Kwa-Zulu Natal for field work for his Ph.D.
Bangalore, India, who is part of evaluation of the Avahan project of modelling HIV infection in India, to undertake Masters degree in health economics at Pompeu Fabra University Barcelona Spain.